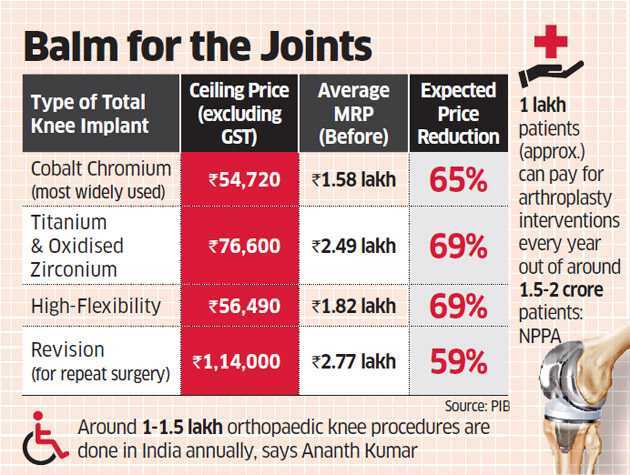 Acting swiftly on PM Narendra Modi's Independence Day promise to take steps to rein in healthcare costs, the government on Wednesday said it is placing knee implants under price control. The government has slashed the prices of knee implants by between 59% and 69% using a special provision in the drug pricing law that enables it to intervene in "extraordinary circumstances" in public interest. 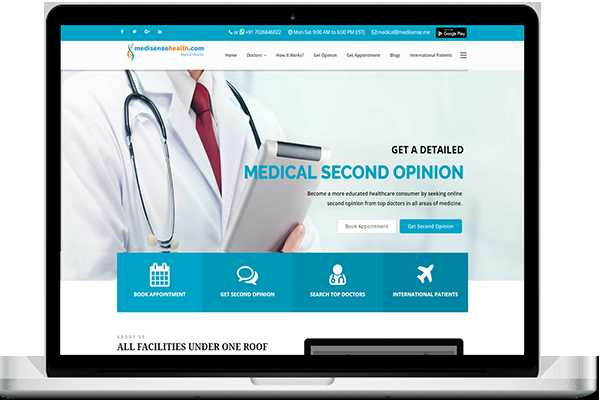 The move is expected to benefit over three crore arthritis patients in India needing knee replacement surgery. 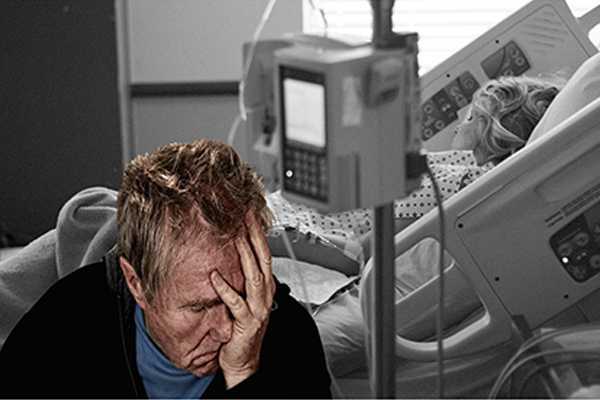 The government said there was "unjustified, unreasonable and irrational" profiteering and trade margins on these devices, leading to exorbitant prices that push up patients' out-of-pocket expenses. In fact, the high costs make treatment unaffordable for many who need arthroplasty procedures. "The government will not be a mute spectator to illegal and unethical profiteering," chemicals and fertilisers minister Ananth Kumar said. He added the government would take stringent action against hospitals, importers and retailers if they charged in excess of the MRP fixed by the government. "The success of the order will depend on what steps are taken by the government to ensure that the overall procedure costs come down as a result of this price fixation," Malini Aisola of the All-India Drug Action Network said. "We hope this is just the tip of the iceberg and the government will go on to regulate prices of all other critical medical devices where similar market conditions prevail," said Gurinder Grewal, former president of the Punjab Medical Council.